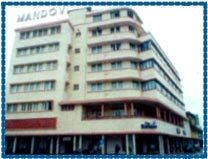 Hotel Mandovi, Goa is situated on the Mandovi river in Goa. 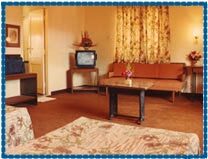 Hotel Mandovi is known to take pride in the facilities and the hospitality that is offered by the hotel. The hotel offers one of the most enchanting view that can be expected from a hotel. The Mandovi is known to offer the most enchanting view of the river and the hillocks across it. Hotel is also in close proximity from the shops, Specialty restaurants, local eateries, entertainment centre's, pubs, government offices, commercial center. The nearest beach is just 3 kms from the hotel and offers a wonderful walk towards the beach. Hotel offers a total of 65 luxurious rooms and suites that have been categorized into 3 Deluxe Suites, 18 Deluxe river facing rooms , 26 Premium rooms and 18 Standard rooms. All the rooms and suites have been loaded with various luxuries that can be expected from a hotel of this class. Being one of the high end 3 star hotel the hotel maintains a good reputation and is well known among the regular to Goa. Central Air-conditioning, Wall-to-wall Carpets, Attached Baths, C.C.TV and Direct STD Dialing Facility, Conference Facilities, Book fair, Room service, Laundry, Concierge, Travel assistance, Transfer arrangements, Safe deposit lockers, Safe keeping of luggage, Sight seeing arrangements, Doctor on call, Money changers.